Our portfolio of primary education titles provide teachers, headteachers and the wider primary workforce the support and advice needed to succeed in their day-to-day work and careers. 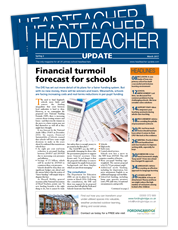 We provide the latest pedagogy and thinking from the classroom, practical suggestions to help teachers day-today and keep the senior team fully informed of the latest changes to primary education that they need to be aware of. With more than a decade's experience of publishing in primary education behind us, you can trust us to give you the vital information and support you need.